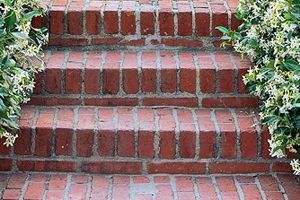 Where do you need Brick & Stone Masonry Contractors? FJ & Sons Construction, Inc. Comment: We have an ep henry type driveway, some areas have dipped slightly and water puddles, some blocks have crumbled and need to be replaced. Driveway needs to be pressure washed, sanded, and sealed. Comment: need a quote for restoration and cleaning of a paver patio and steps off of the kitchen. low spots in some areas. need to be made level, black plastic retainer around the patio needs to be lowered to compensate for the paver settling. Comment: The stone veneer is crumbling and falling away from a retention wall. The job includes removing old stone and installing new stone veneer to ~400 square feet. All Season Lawn and Landscaping, Inc.
Doylestown Brick & Stone Masonry Contractors are rated 4.80 out of 5 based on 781 reviews of 41 pros. Not Looking for Brick & Stone Contractors in Doylestown, PA?